Presently, NEWLO is unable to offer a Caribbean Vocational Qualification (CVQ) in Health Care because the current classroom does not meet the standard required by the National Training Agency for CVQ certification. The current classroom for the health care class also serves as the sick bay for the whole centre. This causes a lot of inconvenience to both the class and the sick trainees. In addition, our Computer Department serves both as a classroom for the computer engineering class and the online testing centre for both our trainees and the general public. This arrangement reduces the number of people who can assess the test site at any given time and as a result, loss of revenue for NEWLO. To make matters worse, the computer/test room is located next to the Furniture Making workshop that produces a lot of noise making activities at the computer room very inconveniencing. The room that currently houses both the Health Care class and the sick bay. The ground floor of the current Maria Holder Hospitality Centre where the construction is presently being done. 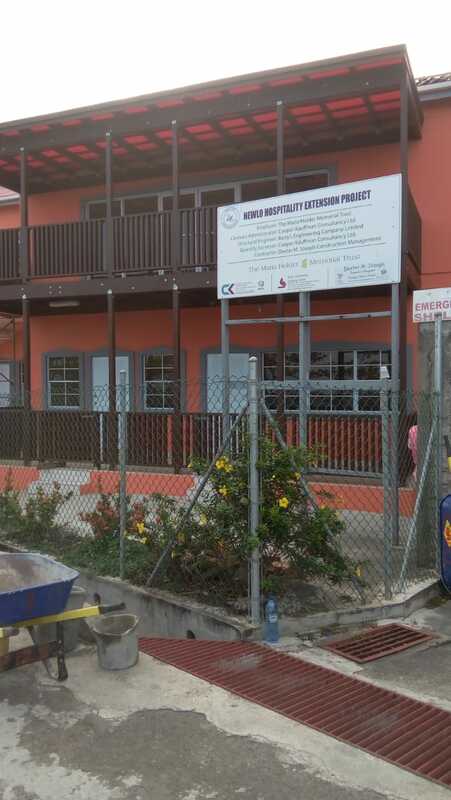 With funding from the Maria Holder Memorial Trust, the Maria Holder Hospitality Centre at NEWLO has tools, equipment and other essential materials for operating the facility. However, storage for these precious non-food items and adequate space for laundry for the facility is lacking. Moreover, NEWLO does not have any suitable room for meetings either for staff or for external clients and partners. This project will help us deal with all these problems and place more quality on the services that NEWLO offers to the Trainees and the general public. 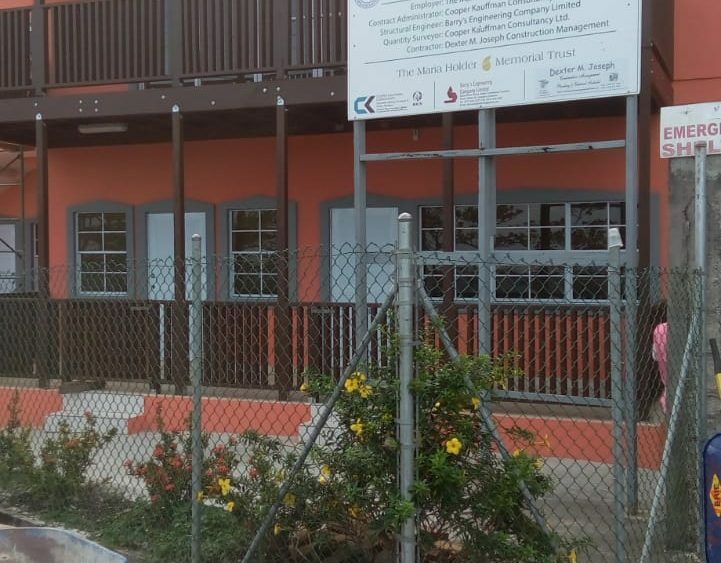 Funding for the project was received from the Maria Holder Memorial Trust based in Barbados. The project is expected to be for a duration of twenty (20) weeks and will be officially opened in April 2019.